White Rock Lake is considered the crown jewel of the Dallas park system. More than one million visitors enjoy the lake every year. No one embraces this culture more than Jim and Jill Cochran and perhaps no other home embraces the lake quite like their home. 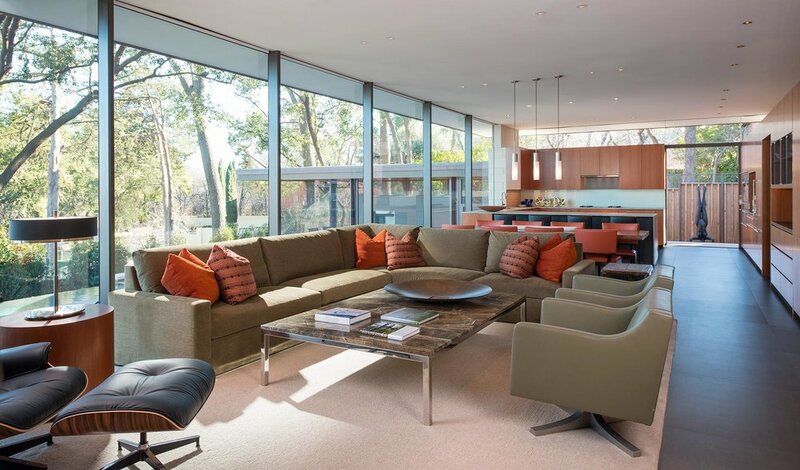 Located along the western shore on the north end of the lake, the Cochran Residence sits proud on Lawther Drive overlooking the sailboats, runners, cyclists, rowers, and wildlife. Viewed from the lake, the house terraces up the hillside like the landscape. 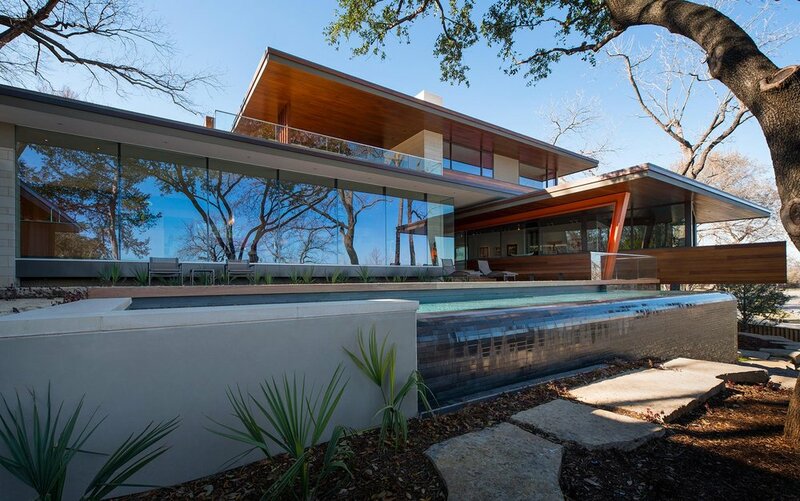 Strong horizontal planes are created by the pool edge, deck levels and roof surfaces as the jut out. 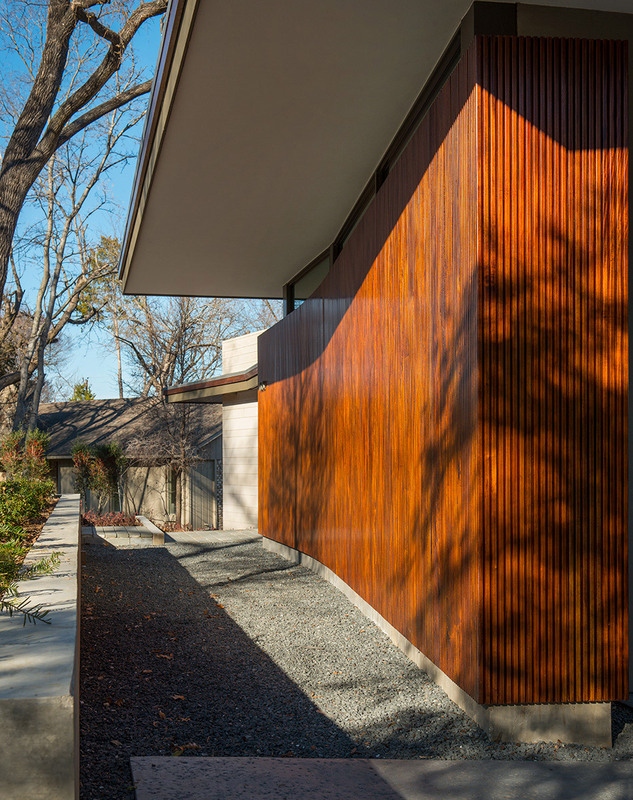 These surfaces, set off by large expanses of glass, mirror the trees during the day. 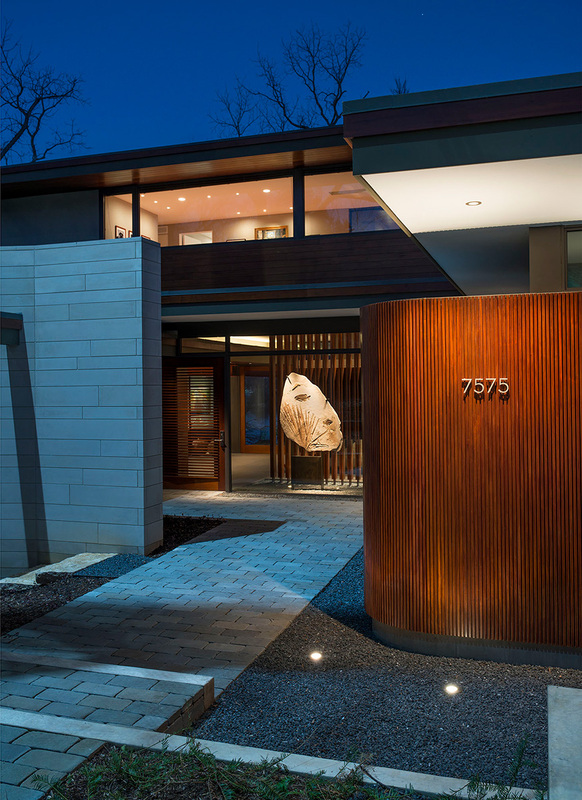 The view from the front has low slung forms and a combination of coursed limestone and mahogany siding to shelter the home from the street and surrounding neighborhood. 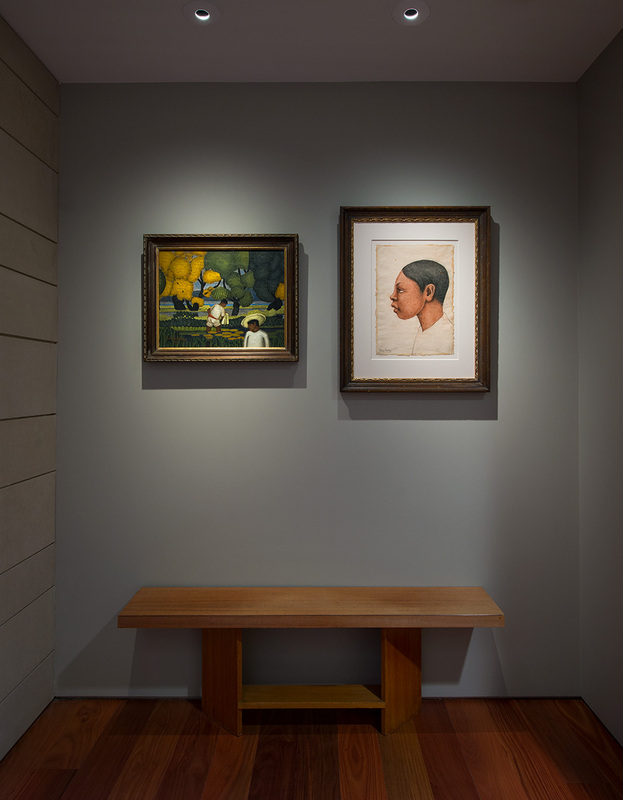 Visitors embark on a series of varying experiences approaching the front door. There are faint glimpses of the lake through screened fenestration at the entrance; hinting at what’s to come. The house itself has an open plan, with main living areas overlooking the lake and infinity pool. 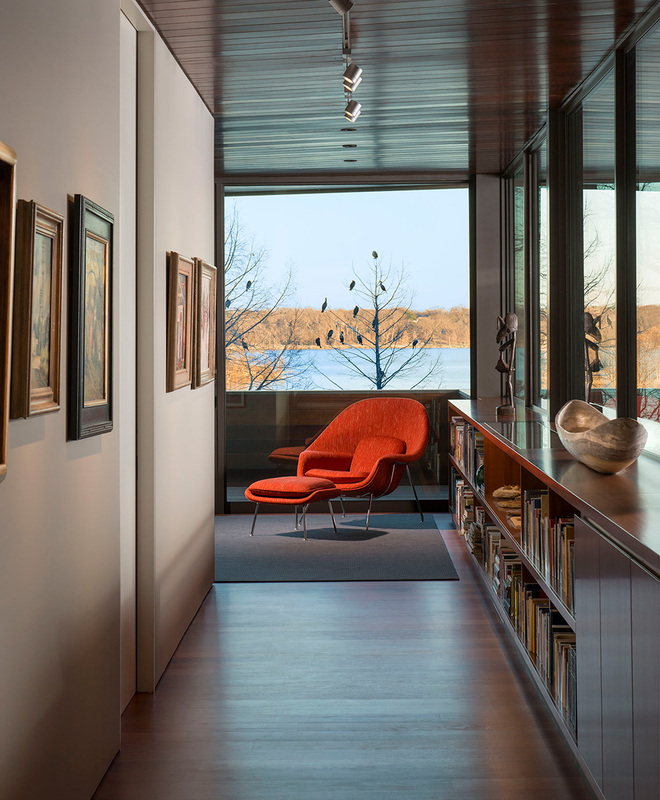 The master suite, outstretched towards the water, branches off as a private wing canted 15 degrees to fit within the existing trees and maximizes vistas. A pool-side cabana and terrace extend the reach of the public spaces along the exterior looking downhill. Upstairs, there are rooms for guests and family with a covered deck engaging both the front and the rear of the property. 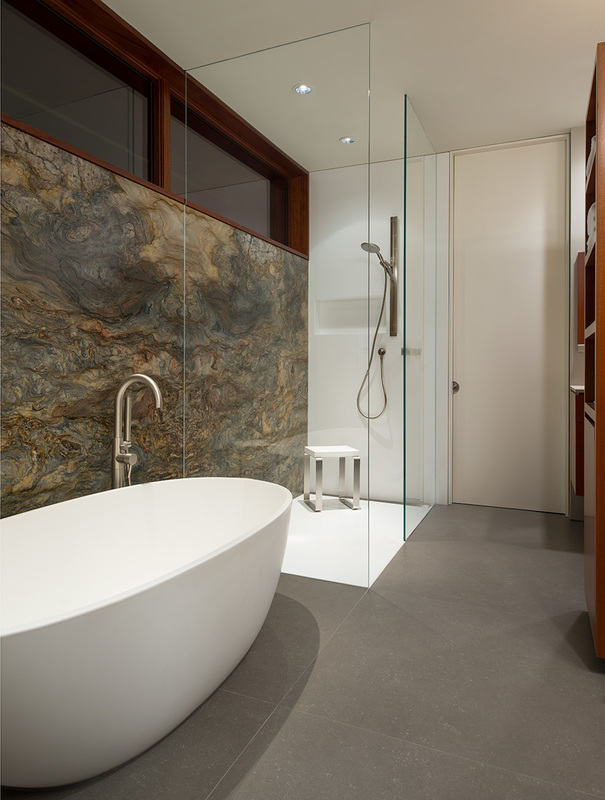 The intent is that this home may be enjoyed by family and future generations for years to come. 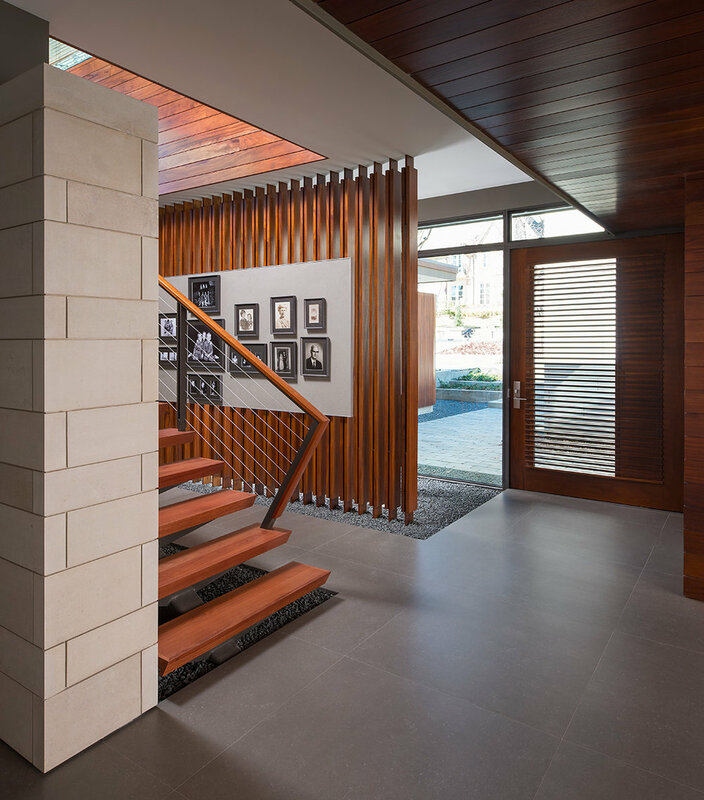 Interior: Allen Kirsch & Associates, Inc.